Wilsonville is a city primarily in Clackamas County, Oregon, United States, although a portion of the northern section of the city is in Washington County. The city is located on the southern edge of the Portland metropolitan area and consists of 16 neighborhood groups. The town does however have pockets of rural areas, but there is still the convenience of living close to a city that hosts cultural, shopping and recreational activities that are 17 miles to the north. It’s a fast-growing city of about with over 23,700 residents, but it often has more jobs than residents. It’s location along Interstate 5 has attracted the facilities of several local and national companies, making it a huge area for commuters. Some of the larger organizations include Xerox, Sysco, Coca Cola and Rite Aid. 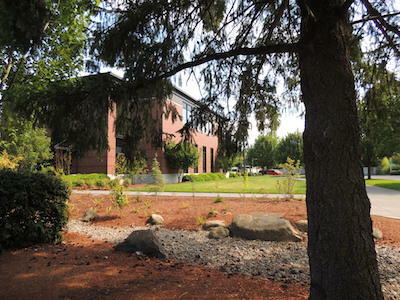 In fact, Wilsonville has over 200 acres of land that are strictly dedicated for industrial development, giving the city a strengthened and diverse economy. Because of the increased traffic, The Wilsonville Road interchange area needed to be expanded. With the help of the “Beauty and the Bridge” project, the road was converted from six lanes to eight lanes and featured an opportunity to change the aesthetics of the area. Increasing the lanes created safe traveling opportunities for those who walk and bike under I-5 and cross the street. 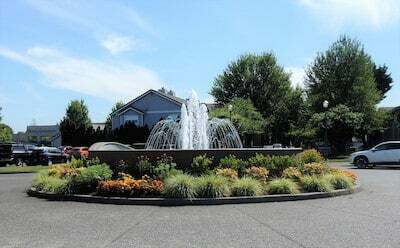 It also helped to create an attractive gateway to Wilsonville with art. Those who contributed to the public artwork included the Wilsonville Public Schools. Wilsonville shares a school district with West Linn, covering 42 square miles southwest of Portland. It also covers unincorporated areas of southwestern Clackamas county in addition to a small portion of Tualatin. The school district has received several awards such as the #1 School District for Athletes in Oregon in 2017. The West Linn-Wilsonville School District is also the #2 School District of 2017, falling only to Lake Oswego, and the #4 District with the Best Teachers in Oregon in 2017. If you are facing DUI charges in Wilsonville, Oregon or elsewhere in Clackamas County or Washington County, you probably have many questions racing through your mind. You’ll find answers to some of those questions with the FAQ’s page on this website, but keep in mind that each person’s case and circumstance is unique. In order to understand your specific case and keep all negative consequences to a minimum, you should have a DUI attorney from a top criminal defense firm to represent you. It is always your responsibility to get your case handled in a timely manner, and while the court allows you to move forward without a lawyer, we never recommend for anyone to face DUI charges along. It doesn’t matter if you feel your options are limited or if you have been wrongfully accused, our justice system is not logical and seldom linear regardless of your best intentions. Sometimes your best intentions can backfire, and having a team who specializes in DUI’s and understand the ins and outs of Washington County court systems can prevent undesirable outcomes. The RDF team has over 50 years of experience in Washington County, so when you appear in court for your arraignment with one of our DUI attorneys, they understand that we are standing with a person we completely trust and believe in. Hire Reynolds Defense Firm or hire another firm, but when you show up with a DUI lawyer, you’re telling the courts that you take your matter seriously. 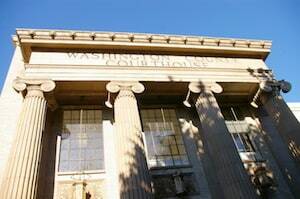 If you need help with resolving a DUI or any other criminal matters in Wilsonville or the surrounding Portland metropolitan areas—please call Reynolds Defense Firm at (503) 223-3422. You can opt to contact us by using the online form or our 24/7 live chat service for your free consultation as well. Our team is happy to serve the Wilsonville area, and can help you figure out how to move forward from a place of strength.